The enamel dial indicating the hours, minutes and date, bears the signature Godon a Paris. 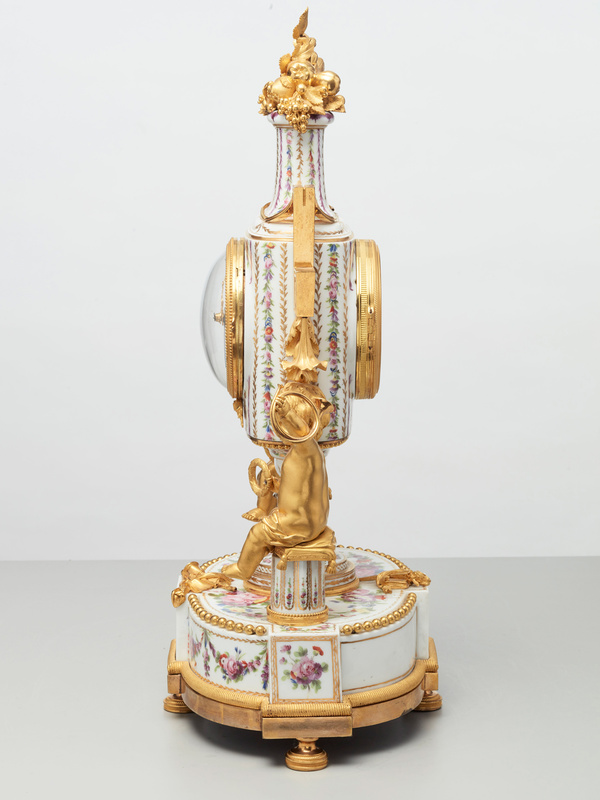 It is set in a footed vase of hard-paste Paris porcelain, with angular handles. 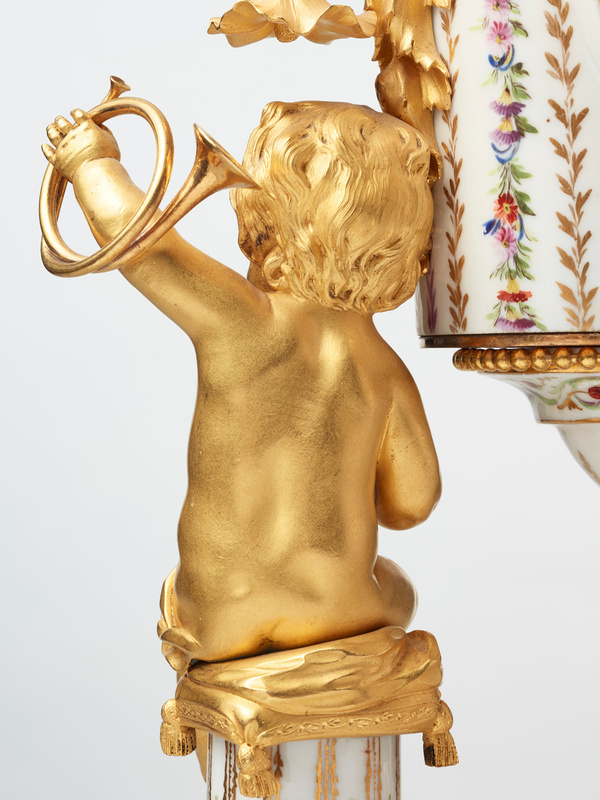 Painted with delicate polychrome garlands, leaves and flowers, it rests on a stepped oval base and is surmounted by a finely chased gilt bronze flower bouquet. 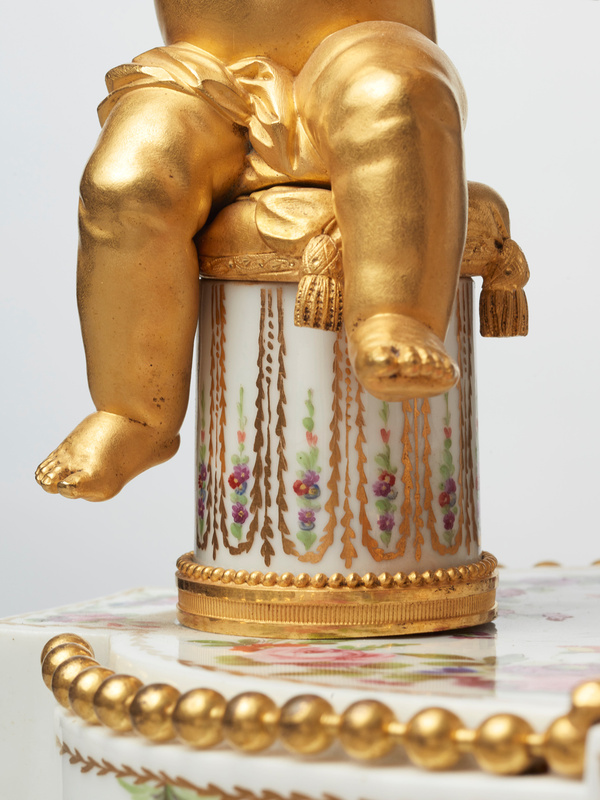 It’s shaped gilt bronzed base, mounted with an ormolu frieze, rest on four bun feet. 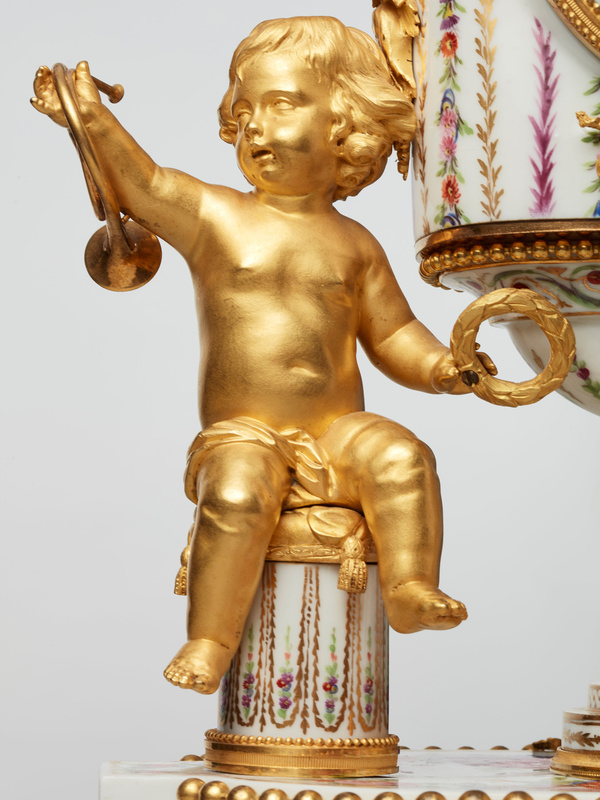 Seated on either side of the vase on truncated columns painted to simulate fluting, two lightly draped putti brandish laurel wreaths and hunting horns. 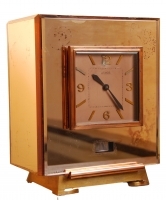 The clock is of a rare type seldom seen in the late 18th century. It is the only example of its kind known to exist today, not another one is known. 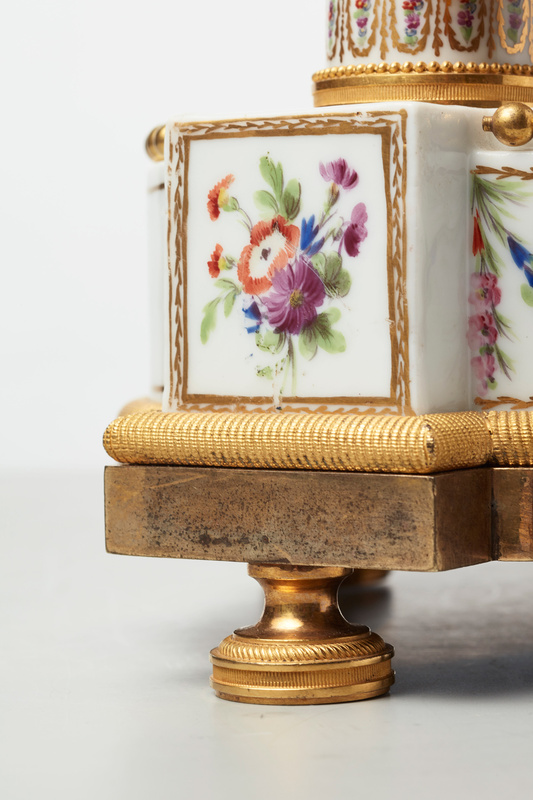 It was probably made to order for a connoisseur who wanted to possess a unique and one-of-a-kind piece. 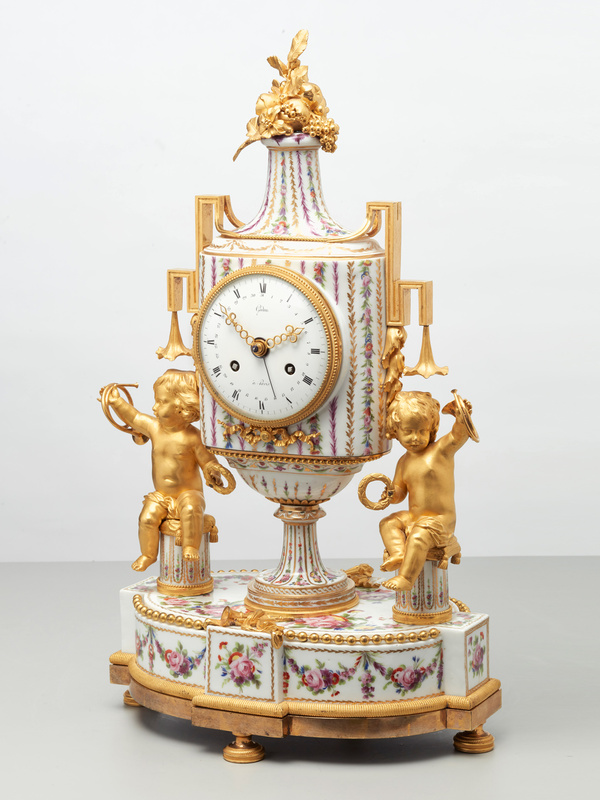 The only other known clock which is similar, is one modelled as a vase in Paris porcelain, surmounted by a gilt bronze floral bouquet and supported by a base with handles adorned with laurel-crowned female masks and terminating in ‘pieds de biche’. - illustrated in P.Kjellburg’s ’Encyclopedia de la pendule francaise’ Paris 1979 p 216. 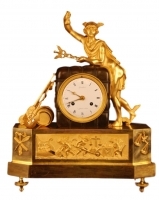 This example has a a dial signed Godon like the present clock; he was no doubt the seller of both pieces. 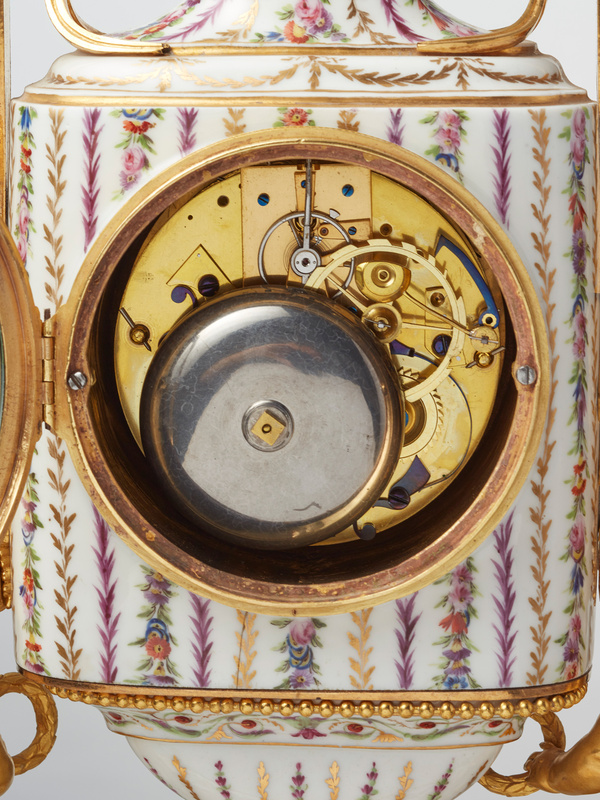 Francois-Louis Godon was received as a ‘maitre’ in Paris in February 1787, having begun working in horology several years previously. 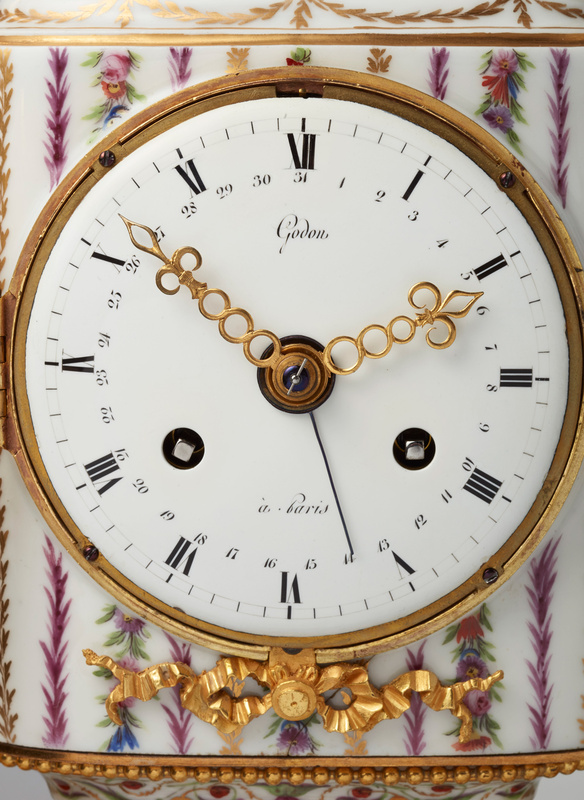 A partner of Furet as early as 1785, Godon is known to have had close ties to kings Charles III and Charles IV of Spain. 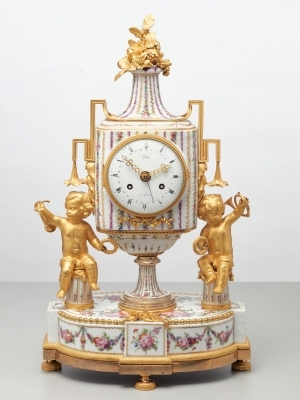 In March 1786, named "Relojero de Camara", Godon became the regular Parisian supplier of porcelains, clocks and bronze-mounted furniture to the Spainish court. 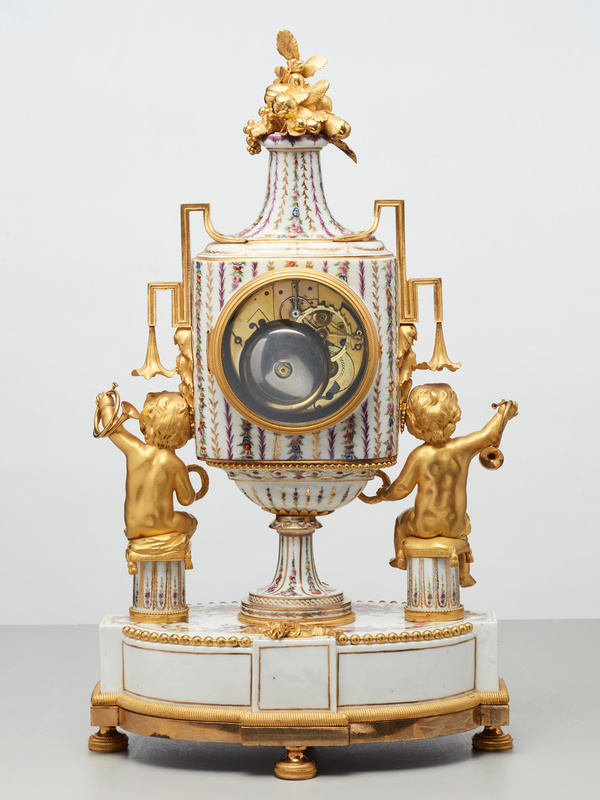 Today many of his clocks are in the Madrid Museum of Decorative Arts. Several are also in the Spainish Royal Collections.